My guess is 800 pieces. Such a fun quilt. 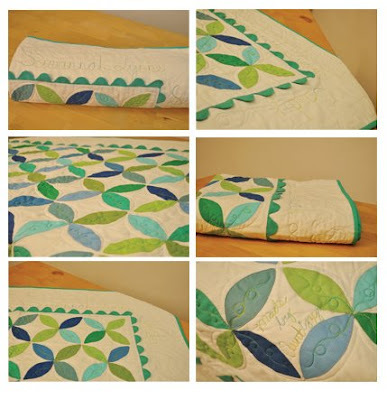 1242 is my guess – thanks for the chance to win suce beautiful fabric – and I absolutely LOVE the baby quilt. Quilting the names on it was a great idea! My guess for how many pieces in your Carolina Courthouse….how about 1334…did I read you used Honey Buns? I haven’t bought any of those yet…oh, boy…my credit card is still recovering from my last purchases. Do I sound easily influenced? My knees start trembling at the mention of M-O-D-A – LOL. Thanks for the chance to win! What a darling baby quilt; I’m sure it will be treasured. 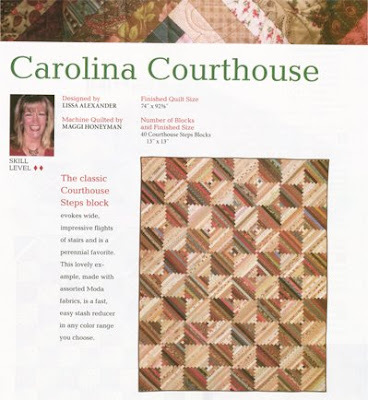 Also love the “Paducah” quilt, too. My guess for your strips is 1,261 and I’m hoping that I don’t win because I’m trying to stash bust also. I don’t need another “project” but it’s fun to play along. Love your blog. Enduring Elegance is simply stunning and I have already started collecting fabrics to make it. I posted about it on my blog the ay I bought the magazine! Tragic eh? I’m making three boy quilts this year so I’m busting to make a girlie one as soon as they are done.. Funky baby quilt – the ric rac makes it. Thanks for sharing the design with us! Love the quilt! I’m going to guess 1234. 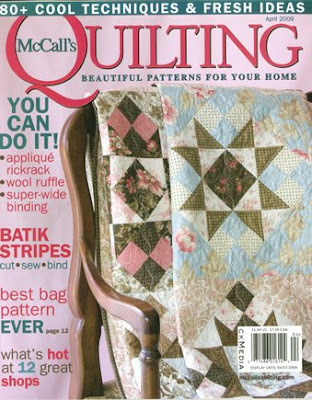 Congrats on being featured in McCall’s! 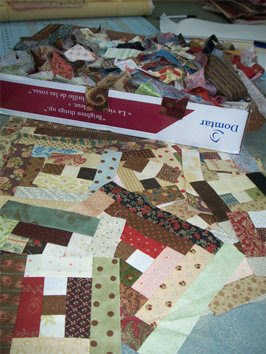 What a great scrappy quilt – I’d already planned to make one. I’ll guess 1082 pieces. The themed hacks are such a neat idea! I love, love, love your Aunt Izzy quilt! And the ric-rac… what a perfect touch! And you covergirl you! I saw you on Keepsake’s cover too! I love all that you do and make. You’re like the Adam Lambert of quilt design… I can’t wait to see what you’re going to do next! beautiful quilt. i’m guessing 1147 cuz 47 is my fav. number. Just wanted to let you know that I love the way you set the log cabin on point. I think it is very clever and turned out great! I love what you did with the baby quilt and leaving the little bits flip up! Hmmm, maybe that’s how I can finish this VERY BRIGHT baby quilt I still have hanging on my design wall.. time to get that baby done and outta here!!! thanks for inspiring! 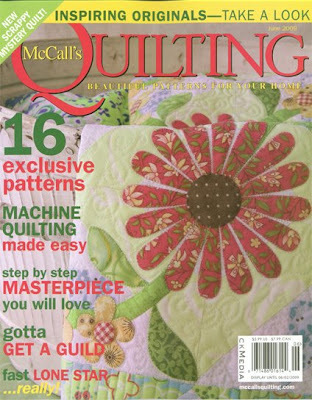 Love that quilt on the cover, I don’t usually buy quilt magazines, But I actually have that one laying here! Because I love the colors of that quilt! Nice job!